San Antonio - The San Antonio Missions in conjunction with the Milwaukee Brewers announced today their field staff for the 2019 season. Rick Sweet has been tabbed as the organization's first Triple-A Manager and will be joined on staff by hitting coach Al LeBoeuf, pitching coach Fred Dabney, coach Ned Yost IV, Athletic Trainer Aaron Hoback, and Strength and Conditioning Specialist Andrew Emmick. "We are excited to have Rick Sweet and his staff be the first Triple-A field staff in our franchise history," said Missions President Burl Yarbrough. "Sweet has a long history of success on the field and we look forward to what he and his staff will do in 2019 in San Antonio." Sweet, 66, enters his sixth season with the Milwaukee organization and 20th overall at the Triple-A level. He has spent the last four seasons with Triple-A Colorado Springs and is one of Minor League Baseball's all-time winningest managers. In 29 seasons as a manager he has compiled 1,951 wins, which is 15th all-time in MiLB and second-most among active managers. Prior to joining the Milwaukee organization in 2014, Sweet spent the previous nine seasons in the Cincinnati Reds organization as the manager of Triple-A Louisville (2005-11) and as the Reds' catching coordinator (2012-13). He is a three-time Triple-A All-Star Game manager, twice as manager of the Pacific Coast League All Stars and once in the International League dugout. The Longview, Washington native had a nine-year playing career, which included three seasons in the majors with the San Diego Padres (1978), New York Mets (1982), and Seattle Mariners (1982-83). LeBoeuf, 58, will serve as the Missions hitting coach in 2019 in what will be his 32nd season as a coach in MiLB and 10th in the Milwaukee organization. He returns to the Triple-A level after spending 2018 as hitting coach for Double-A Biloxi. LeBoeuf brings additional managerial experience to Sweet's staff having managed for six years (1993-98) in the Philadelphia Phillies organization. He played eight minor league seasons with the Phillies after being drafted by them in the 28th round of the 1981 MLB Draft out of Eastern Connecticut State University. 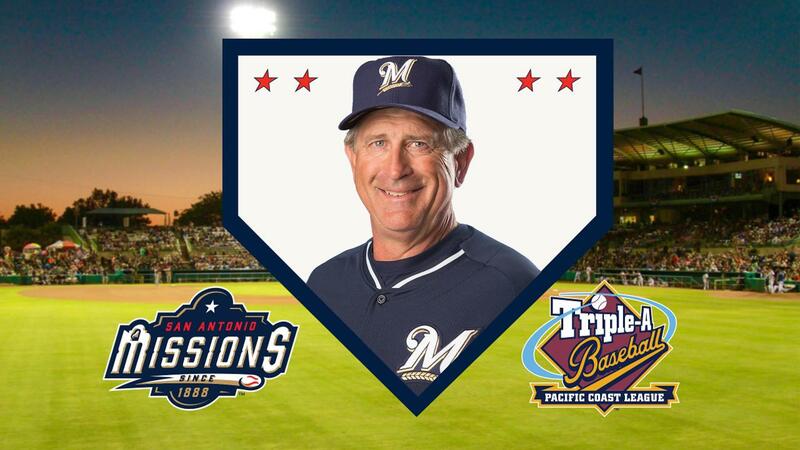 Dabney, 51, has been tabbed as the Missions pitching coach and has spent the last 15 seasons in the Brewers organization after five with the Texas Rangers. He has served as a pitching coach for the entirety of his coaching career. 2019 will be his sixth season as a pitching coach at the Triple-A level after serving in the same capacity in 2014 with Nashville and the last four seasons with Colorado Springs. The Lawton, Oklahoma native played nine minor league seasons with Chicago (AL), Cleveland, and Chicago (NL) before finishing his career in Taiwan. He was originally drafted by the White Sox in the 15th round of the 1988 MLB Draft out of Seminole Junior College in Oklahoma. Yost IV, 36, will serve as a coach for the Missions in 2019 in what will be his 12th season as a coach with the Brewers organization. He played in the Milwaukee farm system for three seasons (2005-07) and has been a coach for the last 11. 2019 will be his third season at Triple-A after spending the last two seasons with Colorado Springs. Hoback, 37, begins his 13th season as an athletic trainer in the Milwaukee organization and seventh at the Triple-A level. He has worked as the athletic trainer at short-season Helena (2007-08), Single-A Wisconsin (2009), Double-A Huntsville (2010-12), Triple-A Nashville (2013-14), and Triple-A Colorado Springs (2015-18). Prior to his time in Minor League Baseball he served as an athletic training intern with the St. Louis Cardinals and St. Louis Rams and as a graduate assistant athletic trainer for the Wichita State University baseball team in 2006. Emmick, 37, rounds out the Missions staff as the Strength and Conditioning Specialist. 2019 will be his 11th season with the Brewers and 10th at the Triple-A level including Nashville (2010-14) and Colorado Springs (2015-18). He served in the same role in 2009 with Double-A Huntsville. Prior to joining the Brewers, Emmick spent three seasons in the Los Angeles Angels organization as a strength and condition coach with Single-A Cedar Rapids (2006), short-season Tempe (2007), and Triple-A Salt Lake (2008). In addition to his work in MiLB, he has worked at Athletic Edge Sports since 2009 as a training specialist for the NFL Scouting Combine and MLB preparation. The 118th season of baseball in San Antonio begins Thursday April 4, as the Missions begin their new era as a member of the Pacific Coast League and take on the Oklahoma City Dodgers. Season ticket memberships are available now by calling 210-675-PARK (7275).